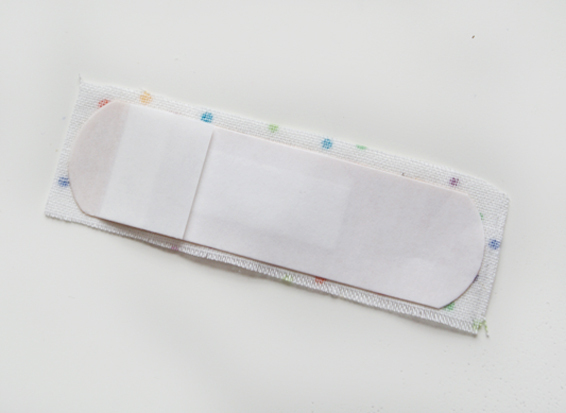 Cover the fabric side with double sided sticky tape and cut around the plaster shape so it is completely covered. 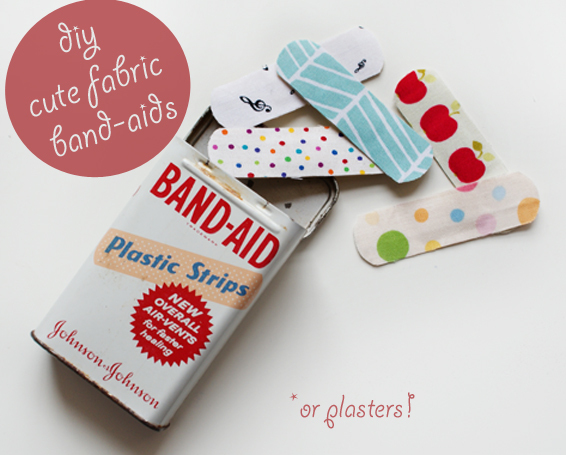 Lay down some cute fabric (remnants are ideal for this tutorial), and rub the sticky tape side onto the reverse. 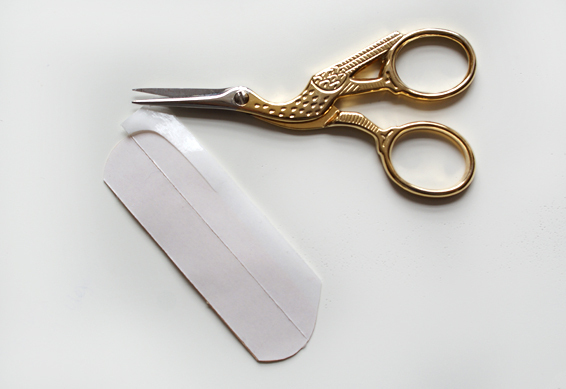 Carefully trim the excess fabric from the plaster and you’re done! Wow! 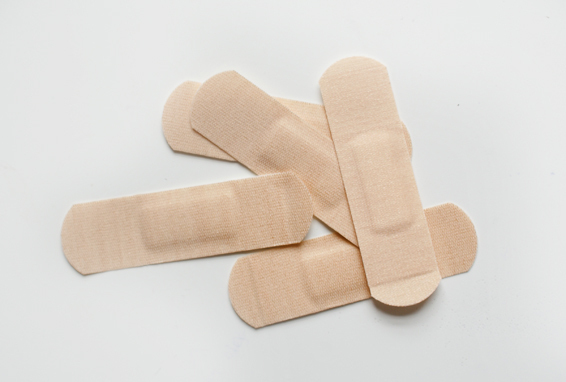 I’ve got to say this is the very first collection of band aids I’ve seen. Love how you covered them too. Interesting! Thanks so much! 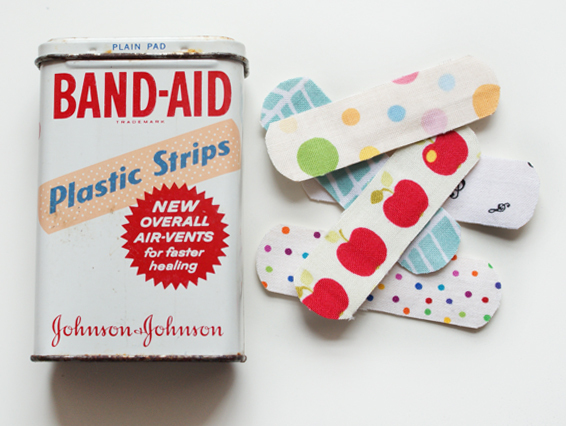 I think they’d be excellent for a back to school teacher gift 😀 Super cute! 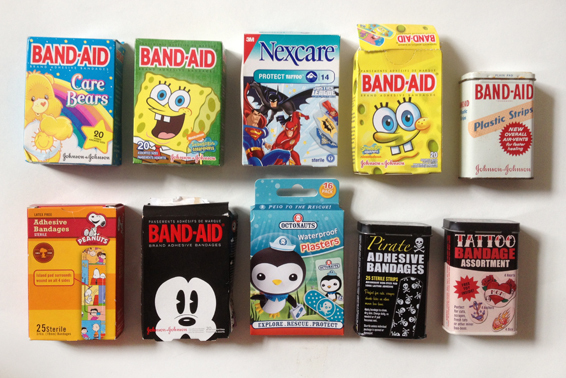 I totally have a collection of band aids too! 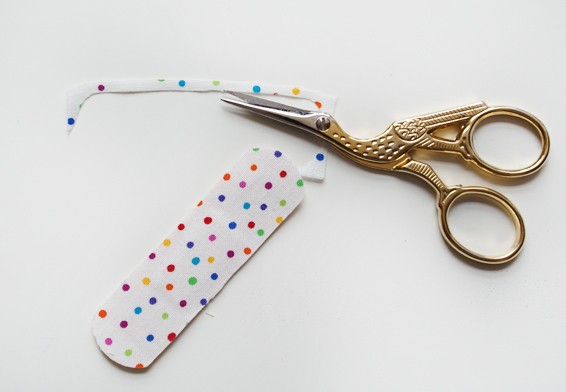 I have those tattoo ones and I have moustache ones, and did you see the vera bradley ones?! As a chef I constantly have nicks and cut on my hands and I like having cute things to cover them up!! Love the tutorial! Can we start a club? Haha! I think we’re the only ones! PS: I think you’re the coolest chef ever. Good work! Always looking for cool new ideas for my little holiday sale and gifties. I love this! And that the idea comes from an artist/craftsperson, freely shared. Thank you! !